The beginnings of monetary union can be traced back to attempts to unify the coin standard. Emperor Augustus successfully unified the coins in the Roman Empire – for over 400 years the gold coins were minted almost exclusively with the seal of the Roman Emperor. The fall of the Roman Empire, caused among other things by its multiculturalism and multinationality, led to the disintegration of the state and to the deterioration of the coin value through a lower proportion of gold or silver. Until the 19th century, the fragmentation of the right to mint coins to the regional rulers led to the fact that the profit resulting from the creation of money from the difference between metal value and production costs and the value of the coins issued was no longer allocated only to a feudal ruler. In the 19th century, completely new methods of creating money emerged for the ruling classes – paper standards were gradually introduced. The paper standard should no longer be based on gold or silver parity, but should be secured by appropriate policy of the central bank, especially by influencing interest rates. 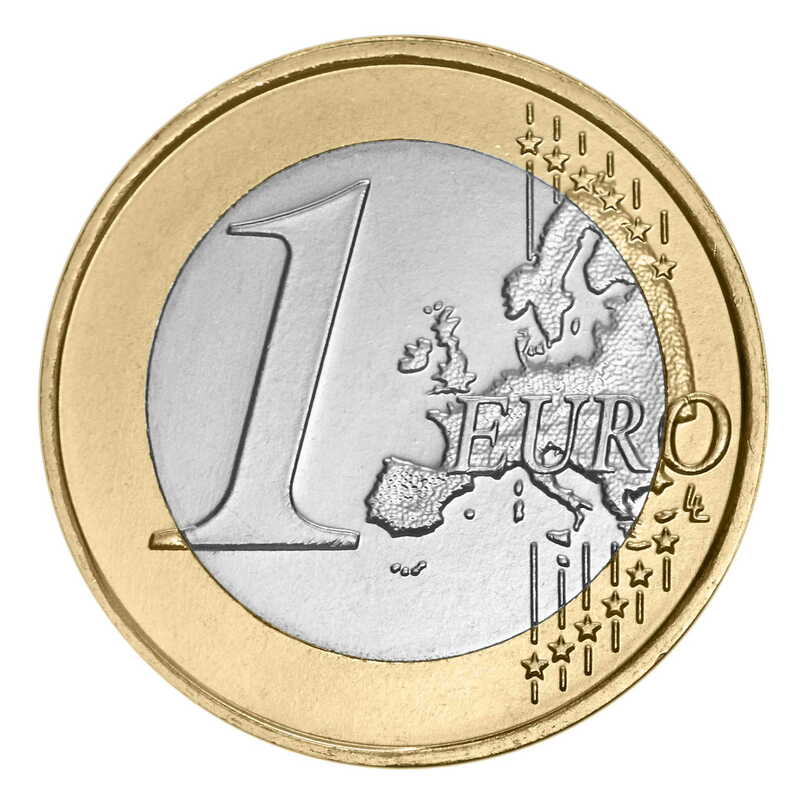 In the 19th century, monetary unions were developed, on which the idea of the euro was based. All failed. In 1865, the Latin Monetary Union unified the currencies of France, Italy, Belgium, Greece and Switzerland. A French franc corresponded to an Italian lira, which corresponded to a Belgian franc, etc. 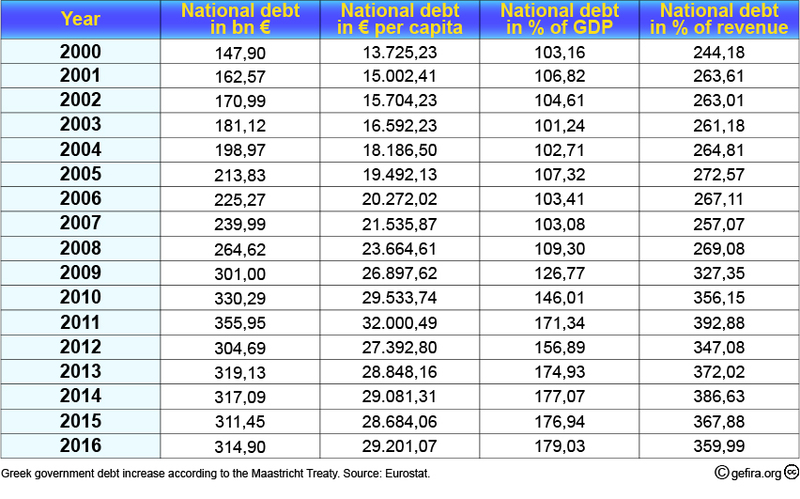 Greece and Italy were then as now debtor countries. The Union’s objectives were similar to those of the euro zone today: to simplify trade and make countries more competitive on world markets. Although the value of the coins in the Latin Union was based on a fixed gold or silver standard, paper money were not based on the precious metal parity, so that the member states’ central banks were able to print as much as they wanted. Coins minted in accordance with regulations were allowed to circulate freely throughout the Union. Since the relatively stable ratio of silver to gold gradually changed in the nineteenth century to the disadvantage of silver, silver coins flowed in from the south to settle the debts of the southern European states. The obligation to redeem the silver coins in gold at the official parity led to considerable losses in the “North”. In 1893 Greece became insolvent and, just as it is today, a two-speed Europe emerged of the prosperous states in the north and the debtor states in the south. The French and Belgians financed Greeks and Italians because they were afraid that otherwise all coins would have to be withdrawn from circulation. As it is today, a non-working Union existed until the First World War. What must happen to make us put an end to the madness of the euro? The same happened with the Scandinavian Coin Union of 1872: the different pace of economic development in Denmark, Sweden and Norway led to the flow of gold to Sweden. The Union also ended with the outbreak of the First World War when the obligation to convert the money into gold was lifted. The cost of saving the banks during the last financial crisis was borne by the citizens. Later, politicians led by Merkel saved Greece hand in hand with international bankers. Also at the expense of citizens of other EU countries. What was the point? Despite the Troika measures, Greece is actually bankrupt. Its debts are now higher than they were before the “debt reduction” imposed by the Troika, because the country does not have its own currency, which it could devalue and thus cope with its debts. The huge sums of money pumped to Greece did not create any new jobs, no consumption and therefore no new tax revenue. The ECB decides on interest rates in the euro area and they have remained low for years. In Germany, low interest rates lead to a revival of the real estate market, some people are already talking about a real estate bubble, prices of apartments and houses are rising, while savings – whether on bank accounts or in the form of investments – are falling, as they earn a de facto negative interest due to the rising inflation. A gloomy future for future pensioners, if such interest rates persist for longer. Whether the introduction of the euro was favourable for German citizens remains therefore questionable. It stimulated the German economy, that’s right. However, the introduction of the euro also made southern European economies less competitive. “With its introduction, the Southern Europeans have recognised the increase in their purchasing power, which could take place due to the fact that the euro is worth more than their national currency; the perception of a better purchasing power created by the euro has led the Southern Europeans to increase imports, but also to raise the prices of their goods (…) The economies of France and Italy were both net exporters before the introduction of the euro and became net importers, whereas Spain, Portugal and Greece have increased the size of their trade deficits”.1)High Treason: How the euro destroyed the economies of Southern Europe with the complacency of their ruling classes, Gefira.org, 19.11.2016. 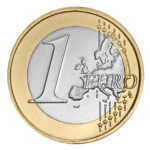 Slovakia was the only country in the Visegrád Group to introduce the euro. The consequences? “Eight years after the introduction of the euro, food prices in Slovakia are ten percent higher than in Czechia or Hungary. Compared to Poland, they are even one-third higher. Although wages in Slovakia would have come closer to the Czech average by 2014, they are now far from each other again. The purchasing power of the Slovaks, due to their lower wages and higher prices, is significantly lower than that of the Czechs”.2)Slowakei wirtschaftlich trotz Euro hinter Tschechien, derstandard.at, 24.08.2017. In summary, we have a monetary union without a common fiscal, tax, social and defence policy that has failed and continues to fail: Greece’s bankruptcy, Brexit, Catalonia, high unemployment in Italy, Spain and Slovakia, to name but a few disasters. Neither does political union exist; it is an idée fixe, a mirage of sick minds of Brussels bureaucrats who do not learn from the history of monetary union and ignore facts. 1. ↑ High Treason: How the euro destroyed the economies of Southern Europe with the complacency of their ruling classes, Gefira.org, 19.11.2016. 2. ↑ Slowakei wirtschaftlich trotz Euro hinter Tschechien, derstandard.at, 24.08.2017. Unbelievable! I don’t know where to start with this drivel. There are so many falsehoods, no wonder no body puts there name to this article, its a pack of lies. The fall of the Roman Empire, caused among other things by its multiculturalism and multinationality, led to the disintegration of the state and to the deterioration of the coin value through a lower proportion of gold or silver. Multiculturalism as you referred to it, is a total non sequitur and oxymoron to boot! The Roman Empire did not have “multiculturalism”, IT WAS SLAVERY. Do not equate slavery with multiculturalism! Some 80% of the populace in Rome and its near environs, were just slaves. The “disintegration of the state”, if you mean Rome, didn’t occur until the 5th century! And it fell apart because Rome could no longer defend its borders, and support its ever increasing pork barrelling of decadent elite human-pigs, known as Romans! It had nothing to do with the ever weakening Roman currency. My God, have we come to the point in human history to now start referring to slaves as “other cultures”, what a disgusting thought! In 1865, the Latin Monetary Union unified the currencies of France, Italy, Belgium, Greece and Switzerland. A French franc corresponded to an Italian lira, which corresponded to a Belgian franc, etc. Greece and Italy were then as now debtor countries. The Union’s objectives were similar to those of the euro zone today: to simplify trade and make countries more competitive on world markets. Although the value of the coins in the Latin Union was based on a fixed gold or silver standard, paper money were not based on the precious metal parity, so that the member states’ central banks were able to print as much as they wanted. Coins minted in accordance with regulations were allowed to circulate freely throughout the Union. what on Earth are you talking about! Go look at your history, from 1865! Look what happened, let me list them for you: 1866 Austro-Prussian War, 1866–1869 Cretan Revolt, 1866 Third Italian War of Independence, 1870–1871 Franco-Prussian War, 1872–1876 Third Carlist War (Spain), 1873–1874 Cantonal Revolution (Spain), 1875–77 Herzegovina Uprising (1875–77), 1876–78 Serbian–Ottoman War (1876–78), 1876–78 Montenegrin–Ottoman War (1876–78), 1877–1878 Russo-Turkish War, 1878 Epirus Revolt of 1878 (Greek), 1885 Serbo-Bulgarian War and 1897 Greco–Turkish War. War destroy currencies, and only the banks and backers of wars win. Look at the rise of many of wealthiest families in Europe, they all profited and became extremely wealthy form these wars. It hand nothing to do a with country’s currency. You must remember, during this time, many if not all these regions where being subjugated by Royal Houses that impoverished their people. Take a look at Italy, King Emmanuel II was an idiotic buffoon, whom couldn’t even speak Italian and for most of the 19th century he spent the Treasury of Italy like it was own personal bank account, and used it, at every single conceivable chance to start wars with other regions. The Royal Houses are the reason why economies where destroyed NOT some currency union. look at this following link, it will show you how wrong that statement is, ITALY WITH POSITIVE TRADE BALANCE AFTER JOINING EURO You will see that Italy had BETTER and STILL DOES trade with a Euro. What is hurting Italy is 160 years of ineptitude, before the Euro! When the Italian elites and earlier, the Kings, destroyed the single currency Lira, because they treated it like it was their all their own, and recklessly spent the wealth of the nation! There is nothing, I mean nothing, in this article that is based on sound, truthful conjecture. I don’t know who wrote this article, but whom ever it is, they are either an idiot or some agenda seeking idealist who hates Europe coming together and trying to find solidarity: ah, now I get it, you must be an Anglo (American or Brit)! What evil people are prepared to write, just because they have jealousy in their hearts! Gefira SHAME ON YOU. Italy and France both had a trade surplus before the introduction of the Euro. Yes, Italy has a trade surplus again now, but at what cost? Now it somewhat the other way around, The indigenous people have to work and pay taxes. Modern Money Theory explains very well why taxes are an efficient way of slavery. However, now foreigners are the predominant recipients of the fruit of slavery. I think I will do an article about that. Your entire premise on Greece, is totally disgusting. You mention nothing of how the IMF and World Bank conspired with corrupt Greek politicians, to make matters worse. How the Greek Government betrayed the Greek People, and how the entire hight elite Greek upper class, got away scot-free from paying their taxes. Instead you blame an inanimate object called a Currency Union. This is just evil games by elites whom are trying to get back control they lost from the “good old days”. GEFIRA! WHO ARE YOU REALLY? WHICH ELITE MONSTERS ARE FUNDING YOU TO SPREAD THESE LIES!